If you know, you know. If you don’t, well, you’ll learn. 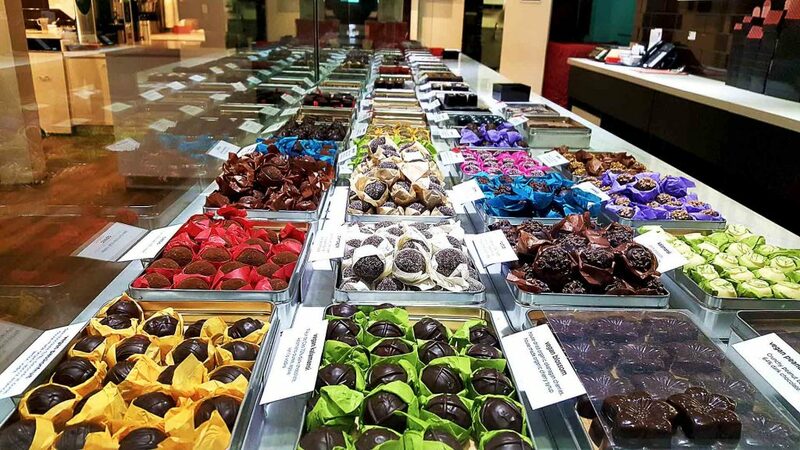 Chocolate Arts is a studio where chocolatiers explore their craft. 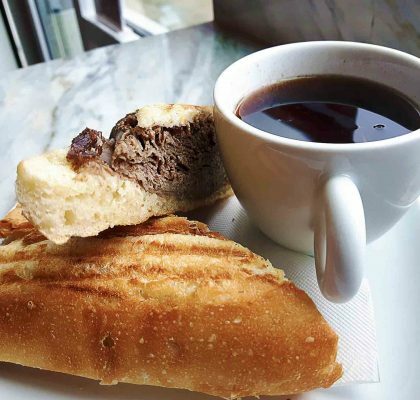 But the space is more than just a chocolate shop; it’s also a café that offers baked goods, freshly made sandwiches, and stupidly good coffee. While I’m sure their hot chocolates and mochas are nothing short of superb, I needed a bit more caffeine in my system. I opted for a double espresso with a shot of chocolate, a decision I’ll never regret. 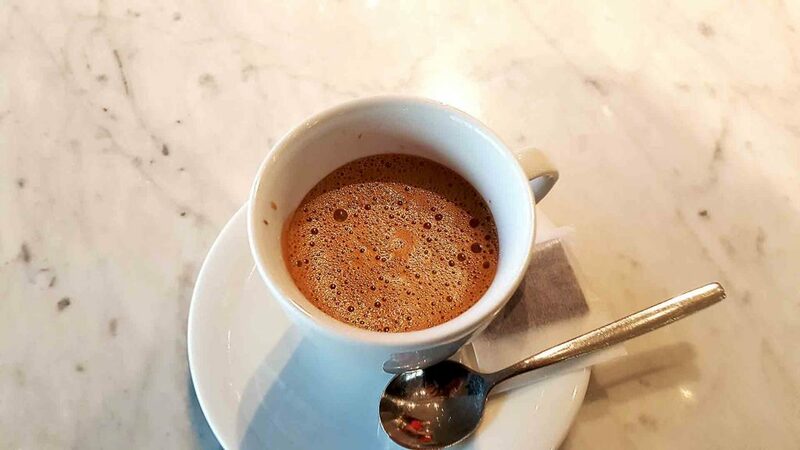 The most interesting thing about ordering a double espresso with a shot chocolate is that you can choose the type of chocolate it’s made with. Chocolate Arts has about 15 varieties ranging from milk to various percentages of dark. The cocoa that I choose, Manjari from Madagascar, is a unique mix of dark and milk. Therefore, it’s not as sweet as traditional milk, nor is it bitingly bitter. Instead, it rests somewhere in the centre. As a result, it fashions a unique flavour when mixed with the two shots of espresso. 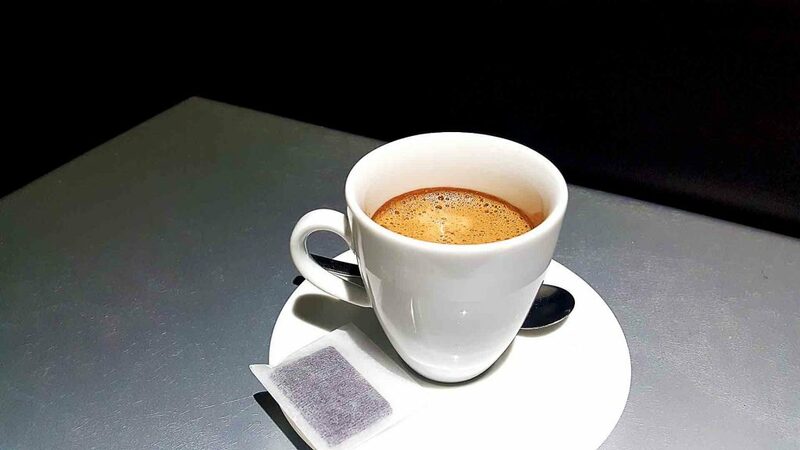 The coffee, brewed from Kafka beans, is particularly bitter and thus doesn’t get lost. In fact, its essence is equally as noticeable amidst the velvety chocolate. Additionally, the Manjari chocolate creates a heavy and rich texture. As opposed to a creamy cappuccino, the body of this double espresso chocolate is thick and strong. Due to this, the consistency and the wallop of caffeine are slightly surprising when looking at the espresso cup it comes in. 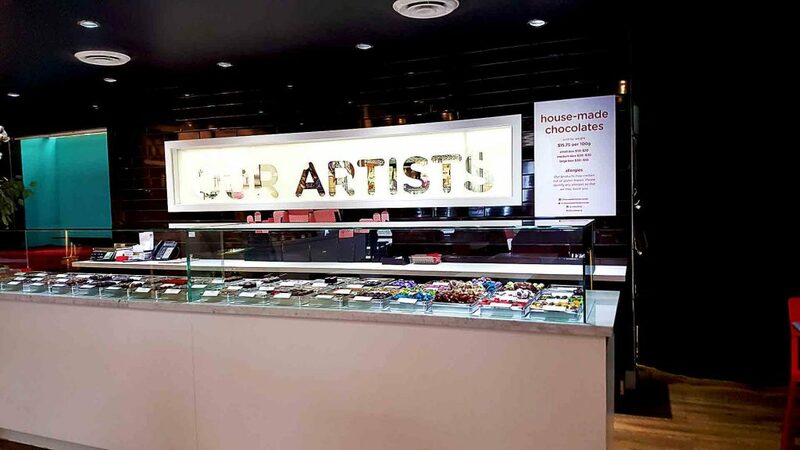 Chocolate Arts’ space has a warm, industrial feel with light wood floors and track lighting. It, of course, also has a boat load of interesting chocolates. 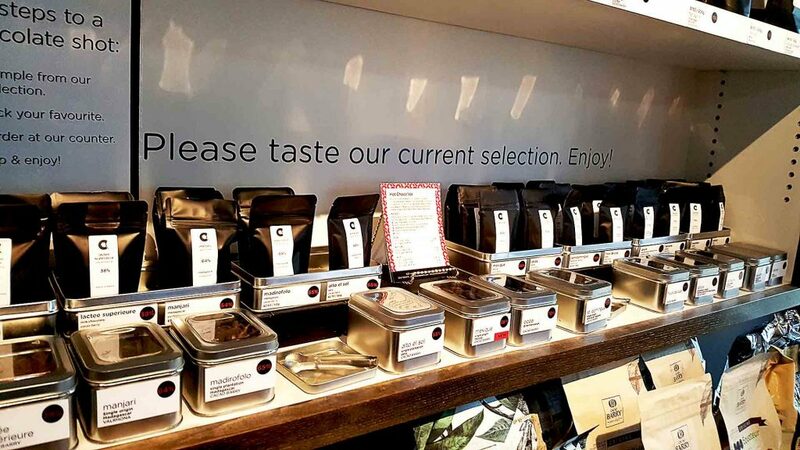 The friendly baristas encourage you to try everything. 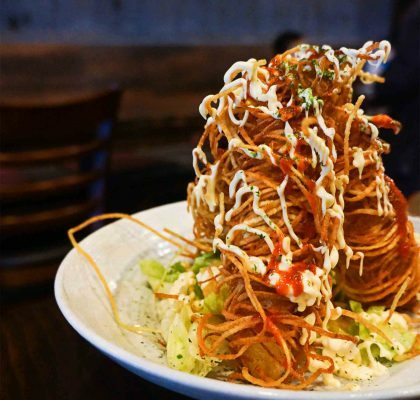 They know they’ll have you hooked. 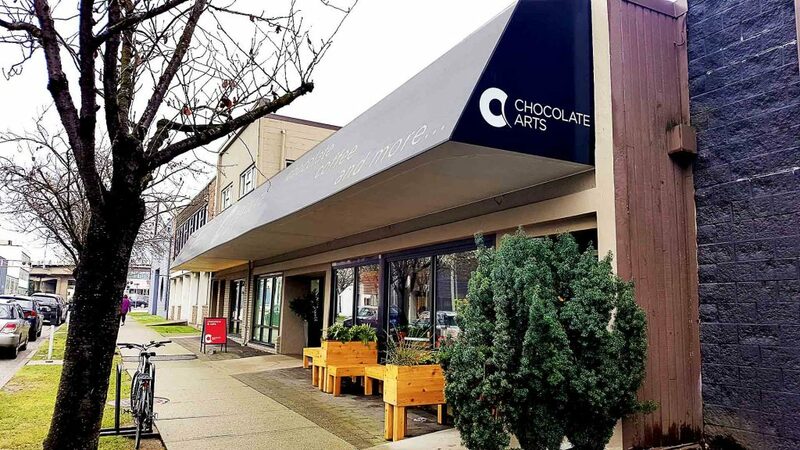 Resting on a sleepy street just outside of Granville Island, Chocolates Arts is a place you’ve probably already walked past. The café part of this confectionery shop is fairly new, but it’s already grown quite a following. It surprised me how quickly the place filled up and turned around. 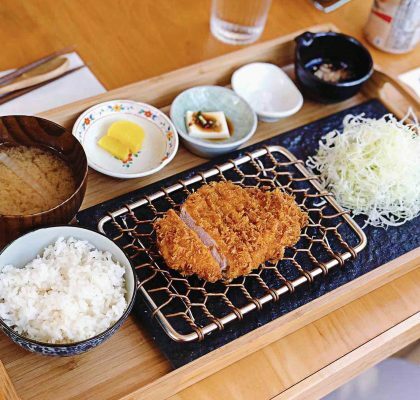 It’s clearly a favourite for locals, and it should be your next stop too.